If you were injured in a Miami Publix Supermarket, you should call a Publix accident and injury lawyer as soon as you can. After an injury in a Publix, time is not your friend. At some point your words and actions will be examined and used as points of negotiation. That’s why it is so important to call the Publix injury attorneys and accident lawyers at the Wolfson Law Firm in Miami. You can contact us at (305) 285-1115 for a free, no obligation consultation or come by our personal injury law office at 3399 SW 3d Avenue in Miami. At the Wolfson Law Firm, our Miami Publix accident lawyers have helped people injured in supermarkets like Publix since 1963. We understand the tremendous impact that an unexpected accident and injury can have on not only you but your family as well. Our Miami personal injury lawyers refer to that impact as the “ripple effect” similar to the dropping of a single stone in the middle of a calm lake. The ripples of that stone, and your injury, can extend far and wide. Over the years, our Miami accident attorneys have helped personal injury victims put their lives back together after a serious and devastating injury that was caused by the negligence of another. Making an injury claim against Publix in Miami is not an easy undertaking. Publix is a very successful company that also enjoys an excellent reputation with most of its customer base. In fact, the people at Publix who handle claims and settle injury lawsuits against Publix likely take this into account when they make decisions on how much to offer to settle personal injury claims against Publix in Miami. Insurance defense lawyers defending Publix in court certainly factor in the jury appeal of their popular client when negotiating and determining which cases to take to trial. While it is not easy to bring a personal injury claim against a Miami Publix Supermarket, it isn’t impossible either. That is the precise reason why you will need to get the best Publix accident lawyer in Miami that you can find. Finding the top Publix accident attorney in Miami could be the key to you getting the justice you deserve. Most people in Miami and Florida have their own personal Publix. 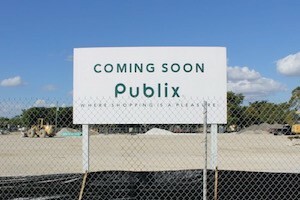 In fact, more often than not you will hear locals say something like “At my Publix…” In years past Publix made “my Publix” a central theme to some of their marketing campaigns. But make no mistake about it, Publix is a major for profit corporation. In 2015, Publix made a profit of $2 billion. Publix is the largest grocery chain that is employee owned. It was originally founded by George Jenkins in 1930 in Winter Haven located in central Florida. Publix employs more than 184,000 people and it is in the top ten supermarkets in the United States. Nearly 70% of the 1128 Publix supermarkets are located in Florida. As part of the Publix operations, it maintains eight distribution centers as well as 10 manufacturing facilities in 5 locations. In 2015, Publix retail sales exceeded $32 billion. Our Publix injury attorneys in Miami can answer your questions. We offer a free and confidential consultation if you call us at (305) 285-1115. At the Wolfson Law Firm, our Publix accident lawyers can help you and your family if you were hurt in a Publix Supermarket in Miami. We handle all personal injury cases on a contingency fee basis in accordance with Florida law and Bar rules. Our Miami Publix injury lawyers handle personal injury case from beginning to end. If Publix fails to make a reasonable offer to settle your case, we will file a lawsuit. If Publix refuses to reach a fair settlement, we will go to trial for you. If an appeal is necessary, we will handle that as well. When you are looking for the best Publix injury lawyer to represent you and your family, make sure you are comfortable with your choice. Do your homework. Always remember that you are the client. Our Miami personal injury lawyers help Publix injury victims in Miami and all of South Florida including the communities of South Miami, Hialeah, Aventura, Edgewater, Kendall, Homestead, North Miami, Wynwood, North Miami Beach, South Beach, Miami Gardens and Doral.